The recent death of the great Norman Borlaug inspired me to develop a list showcasing the top 10 most influential individuals in the history of agriculture and farming. This list is by no means definitive, but rather my first attempt to capture those individuals and their achievements that changed the world of agriculture (see footnote a). I structured the list in rank order working my way from #10 to #1 with the person in the #1 spot having the all-time greatest influence in the history of agriculture and farming. Enjoy, and please feel free to comment. Considered the father of hybrid corn, Shull devoted 30 years of his life to corn breeding. A botanist by training, Shull began his famous experiments at Cold Spring Harbor, Long Island New York. His experiments began in 1905 and centered on inheritance in corn. 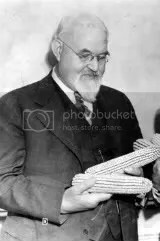 Although there are several geneticists/botanists who made contributions to the development of hybrid corn, Shull made the critical observations on the reduction in vigor on inbreeding corn and the subsequent improvement of vigor on crossing corn. These experiments provided the basis for hybrid corn. Although it was ground breaking research, it would not be until 1922 before hybridized corn was made commercially available. Shull founded the journal Genetics (which is considered to this day one of the top international science journals), and served as a Professor of Botany and Genetics at Princeton University. Wallace’s accomplishments are many: Vice President of the United States, Secretary of Agriculture, Secretary of Commerce, and other distinguished roles. Wallace was considered an active Secretary of Agriculture and his Department of Agriculture oversaw the creation and development of the food stamp and school lunch programs. He supported government intervention and implemented controversial measures to regulate production in American farming with government planning designed to battle overproduction and low prices. Specifically, Wallace ordered slaughtering pigs and plowing up cotton fields in rural America to drive the price of these commodities back up in order to improve American farmers’ economic situation. He experimented with breeding high-yielding strains of corn and easily earns a spot here because he also founded the Hi-Bred Corn Company in 1926, which we know today as Pioneer Hi-Bred. slaughtering six million pigs. For these losses, the government would issue relief checks totalling millions of dollars. An active secretary of agriculture, Wallace took to heart the needs and fears of his agricultural constituents. Iaddition to helping American farmers sustain themselves during the economic downturn, his Department ofHe experimented with breeding high-yielding strains of corn 1913-1933 and easily earns a spot here because he also founded the Hi-Bred Corn Company in 1926, which we know today as Pioneer Hi-Bred. Few literary works, if any, can compare to the enormous agricultural and environmental influence of Carson’s book Silent Spring. Published in 1962, the book was a landmark event in the history of the environmental movement. Carson focused the book on pesticides and their use in agriculture, and argued that those chemicals were dangerous to the environment, wildlife, and humans. Carson was adept at presenting thorough documentation to make her point and concluded that the effects were akin to pesticide poisoning. The book is not without great controversy, and is cited as making erroneous cause-and-effect relationships one of which led to severe use restrictions and bans of DDT. It has been suggested that the subsequent ban of DDT has led to the resurgence of malaria and other fatal diseases. Regardless of which side of the argument you fall, what cannot be disputed is the powerful impact this book has on the agricultural world. “Chimeric bacterial genes conferring resistance to aminoglycoside antibiotics have been inserted…” And so begins the opening of Fraley’s 1983 paper where he and his research team at Monsanto indicate they have found a method of creating transgenic plants by using a pathogenic bacterium, Agrobacterium tumefaciens. Other researchers from around the world were on a similar course, but Fraley earned this spot due to his drive and ambition which led to the commercialization of genetically modified plants. The first genetically modified plants from Monsanto which achieved widespread success were soybeans resistant to glyphosate herbicide. Fraley has contributed to years of agricultural development through a number of significant activities, including authoring more than 100 publications and patent applications relating to technical advances in agricultural biotechnology. The only living member of this list, I suspect Fraley will move up a few spots over time as the true impact of his work unfolds. The plow is cited as one of the most important inventions in the advancement of society. John Deere certainly did not invent the plow, as post-Roman modern cast iron plows had been around for 50 years prior to his creation. Instead, Deere developed and improved on the plow by making his out of steel in 1837. The steel plow that Deere developed worked superior in American Midwest soils compared to the cast-iron plow. I placed John Deere at this spot not simply because he developed a steel plow, but because his plow unlocked the vast fertility of the Midwest soils which ultimately unleashed the incredible yield potential and food producing ability of the American Midwest. Further, Deere smartly positioned his newborn company in Moline, Illinois, to be closer to the Mississippi River and better transport his products to farmers. John Deere built high quality products, and his company’s namesake maintains that reputation as a high quality agricultural and construction equipment manufacturer to this day. 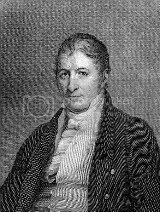 Considered an all-around ingenious inventor and often mentioned in the same sentence as Thomas Edison, Eli Whitney is best known for the invention of the cotton gin in 1793 or 1794. Simply put, a cotton gin is a machine that is used to pull cotton fibers from the cotton seed. The cotton gin was a groundbreaking invention in the southern United States, and it had an enormous positive impact on the economies of the southern states in the U.S. The cotton gin also had an equally important impact on slavery in this country. Prior to Whitney’s cotton gin, raising cotton was very labor intensive and only a few plantations could profitably raise cotton. The cotton gin catapulted cotton to a widespread, lucrative and less labor-intensive crop, contributing to the rise of cotton production in the Deep South. The availability of large supplies of cotton fiber also contributed to the rise of the textile industry. It is difficult to state with absolute certainty that the cotton gin directly led to an increase in slavery, but the cotton gin clearly was a major factor contributing to slavery issues in the South. The story goes that Cyrus McCormick worked feverishly and well into the nights over the course of several months to develop the world’s first mechanical reaper in 1831. A mechanical reaper was needed, as harvesting crops in McCormick’s day required numerous men to cut and gather. McCormkick’s reaper was able to replace manpower for machine power and is often cited as a key driver for the westward expansion of the United States. In 1851, the reaper won the highest award of the day, the Gold Medal at London’s Crystal Palace Exhibition. Cyrus McCormick became incredibly famous and was literally a worldwide celebrity. 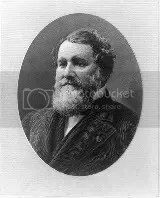 Cyrus McCormick is referred to as the ‘Father of Modern Agriculture.’ A footnote to this story is that Cyrus did not work alone. Jo Anderson, a slave, is cited to have worked with McCormick in development of the mechanical reaper. 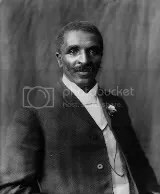 The contributions of George Washington Carver to agriculture, particularly southern U.S. agriculture cannot be overstated. Carver single-handedly improved the lives of thousands of poor southern farmers by providing information on crops, cultivation techniques, and recipes for meals. He is best known for research into and promotion of alternative crops to cotton, particularly focusing on peanuts and sweet potatoes. Carver was a progressive agricultural thinker, encouraging farmers to submit soil samples for analysis to determine causes of poor yield. Beyond crops and soils, Carver also taught livestock care and food preservation techniques. Carver was a great agricultural educator, researcher and humanitarian, and has gained worldwide acclaim for his lifetime of achievements to agriculture. His obituary read “… he taught the world to feed itself.” Borlaug is credited with saving hundreds of millions to as many as a billion lives from starvation. Awarded the Nobel Peace Prize in 1970 for his work on the world’s food supply, Borlaug is known the world over for his highly successful wheat breeding and wheat research programs in Mexico. He created the World Food Prize in 1986 to recognize the achievements of individuals who have advanced human development by improving the quality, quantity or availability of food in the world. Borlaug championed an adequate food supply for every human being, and spent his lifetime working on improving food production to feed an ever-growing world population. Although co-developed with Carl Bosch, the process of ammonia synthesis bears Haber’s name and is known the world over as the Haber Process. (There is an attempt to give credit to Bosch by referring to the process as Haber-Bosch). In 1908 Haber developed the technique still used today to take the vast amount of nitrogen available in the atmosphere and convert it into nitrogen that plants can use. In 1918 Haber won the Nobel Prize for this discovery. Although nitrogen fertilizer had been previously available, this major leap forward allowed for the relatively inexpensive production of nitrogen fertilizer which ultimately led to its widespread availability. Today, people the world over rely on the Haber-Bosch process to produce nitrogen fertilizer which helps raise food. Without the Haber-Bosch process, we would not be able to feed our global population–Haber’s discovery has helped feed countless billions of humans. I liken Haber’s achievement somewhat to that of Henry Ford. Ford was able to mass produce automobiles inexpensively and Haber developed the process to mass produce nitrogen fertilizer inexpensively. Ironically, Haber also contributed to human destruction by playing a role in warfare with his involvement in chemical agents during World War I.
Dwayne Orville Andreas (birthdate: 1918) former head of Archers Daniels Midland and cited with developing that company into an agricultural giant. Hugh Bennett (April 15, 1881 – July 7, 1960) influenced by the Dust Bowl of the 30’s he created the Soil Conservation Service, now the Natural Resources Conservation Service, and served as its first chief. He is considered today to be the father of soil conservation. James G. Boswell II (March 10, 1923 – April 3, 2009) was the head of J.G. Boswell Company, a privately owned agribusiness giant based in California. Known as ‘The King of California’, Boswell grew his uncle’s company into a large and diversified farm over several hundred thousand acres. He played an important role in shaping water use policy in California. Earl Butz (July 3, 1909 – February 2, 2008) noted as one of the more influential individuals to serve as Secretary of Agriculture, Butz dramatically reshaped American agricultural policy. John Franz (1929), Paul Muller (1899–1965) chemists who separately developed glyphosate and DDT, respectively. Both are highly recognized and honored for their work. Temple Grandin (August 29, 1947) professor at Colorado State University focusing on animal handling and care. Grandin has garnered notoriety with her autism outreach and was portrayed by actress Clair Danes in a self-titled HBO biographical film. The movie highlighted Grandin’s autism and work with livestock. Thomas Jefferson (April 13, 1743 – July 4, 1826) our third President and firm believer that “cultivators of the earth are the most valuable citizens…”. Jefferson designed a moldboard plow, and handpicked Meriwether Lewis to lead the westward expedition which documented dozens of plant species. 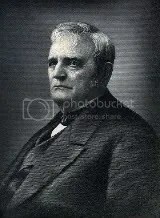 Seaman Knapp (1831-1911) encouraged by boll weevil problems Knapp developed a very successful demonstration farm which is credited to the founding of the cooperative demonstration farm program and county agent system. Aldo Leopold (January 11, 1887 – April 21, 1948) his famous book of essays A Sand County Almanac stands as one of key influences on agricultural and non-agricultural land use. Leopold championed the concept of land ethic, and pushed the idea of ‘farmer as a conservationist’. Richard Marshall, Earl Kooi, Y. Takasaki invented and refined the process of making high fructose corn syrup from milled corn in the 50’s and 60’s. High fructose corn syrup is widely used (particularly in the United States) as a sweetener. Andrew Meikle (1719 – 27 November 1811) one of the more notable individuals credited with inventing a thresher circa 1786. Ingo Potrykus co-credited with creating golden rice, rice fortified with Vitamin A.
Henry David Thoreau (July 12, 1817 – May 6, 1862) Thoreau gets a spot here for his book, Walden, in which he describes his closeness with nature and chronicles his modest farm efforts. Jethro Tull (30 March 1674 – 21 February 1741) vastly improved seeding crops by invention and refinement of seed drills. Footnote a: Picking individuals to fill 1 through 10 in this list is difficult, since often there were multiple individuals working together or providing influence that leads to a great achievement. I realize that I am sacrificing detail and oversimplifying some of the achievements listed above. My purpose of this post is to provide agricultural outreach education and raise awareness of agriculture. Acknowledgement: I’d like to thank Janice Person for her very quick assistance and constructive suggestions. Entry filed under: technology. Tags: influential people in agriculture. Time’s “Man of the Year” isn’t the most worthy of honor, but the most influential on the news; they’ve had lots of villains on their list, and I assume that you’re using the same criteria. 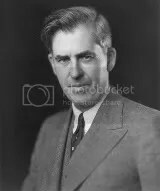 However, a lot of farmers were saying, during the Truman administration, that they’d like to plow Henry Wallace down. I find it sad that you don’t have Faulkner’s name on the list. 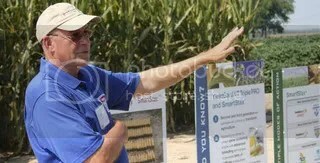 His place was up towards Toledo, and lots of farmers in NW Ohio drove past it, saw the crooked rows, the fields full of weeds, and laughed at him, but he did a lot to create today’s conservation tillage and LISA practices. During the late 1970s, a lot of farmers in NW Ohio were dying from high equipment prices, high energy prices, high interest rates, and low commodity prices, but at that time, I was doing income taxes for some Amish farmers in Allen County, IN, and noted that they were actually doing quite well, because they WERE actually using LISA practices. I mentioned it to farmers I’d grown up with, and they said they’d rather go broke. And some of them did. Nitrogen isn’t plant *food*, it’s plant *vitamins*. Plant food is water, air, and sunlight. An awful lot of farmers get their corn off to a good start with nitrogen, spurring growth above the soil level, but good roots and well-structured soil will get you through a dry August, and that corn *won’t*. You’ve got some wonderful soil in Ridge Township, but it was better soil fifty years ago, and even better fifty years before that. 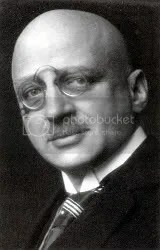 Fritz Haber transformed agriculture – but for the worse, not the better. As always, your comments are very insightful Harl. Thanks for sharing your knowledge and thoughts here. Hundreds of USDA and university agricultural scientists have improved farming and the food and agricultural industry by developing improved varieties of plants and food animals; developing better farming methods; finding new uses for agricultural products; and developing processing methods for everything from frozen foods and lactose-free dairy products to permanament press and penicillin. No, it ain’t perfect but agricultural science has helped us move from lives of subsistence farming to the diverse consumer-based economy we have today. Years ago Americans routinely suffered and died from diseases caused by under nutrition and food poisoning. Today we take our food so much for granted that our biggest worry is overeating. I considered many of your suggestions, Linda, especially Dr. Wiley. At some point, albeit an arbitrary point set by me, I had to stop listing people in order to keep the blog post manageable. Bear in mind that this list is certainly not the definitive word; rather, this list is really an attempt to raise awareness on agricultural issues. Thank you for your well-thought out comment Linda. I do appreciate your comments, and I feel your suggestions add greatly to the intent of my original post. Thanks Linda! Wow, Linda! Those are a lot of names that I never would have considered, and yes, they are all worthy of consideration. This was one of Andy’s longer blog posts (I ramble on *endlessly*, but he’s usually fairly concise), and it took a lot of thought on his part. I really like posts that make me think, and which inspire comments that make me think. I’m rapidly being overtaken by senility, and I need to get in all the thinking I can, while I’m still capable of doing a little. Thank you, Andy. Although, Linda, I don’t know that “our biggest worry is overeating.” Many people are unaware of it, but the US now is a net *importer* of foods. Seems odd that the US can no longer feed itself (although that’s more a matter of government policy than our capabilities). appreciate very much. Please extend it on a global basis and make it top twenty. It may be more exiting!! Andy, thanks for an interesting read from your Most Influential People in Ag. & Farming History. I appreciate the time and effort you put in to compiling the list. Also, thanks to Linda for adding more names and agencies. Thanks for the kind words John. It was really fun to do, and I have been very pleased with its reception. It has definitely brought some recognition to agriculture! good job, but why there is no list of pakistani scientist???? The list is not exhaustive, but it is exclusive. I considered the achievements of scientists, humanitarians, industrialists, and inventors the world over. I developed this rank-wise list based on my criteria. I am more than happy to list those with merit in the “Notables” section. Please let me know who you had in mind. I agree with you on Rachel Carson. 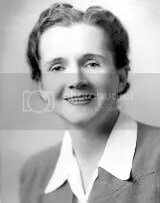 I read her book Silent Spring and I thought it was very good. She makes numerous points that are absolutely try. I wonder how the earth would be like now if she was still alive.